About — Stoneground Paint Co.
Our watercolour paints are made by hand from the finest pigments available. Each pigment is bound within a unique combination of the highest-grade gum arabic and locally sourced organic honey. 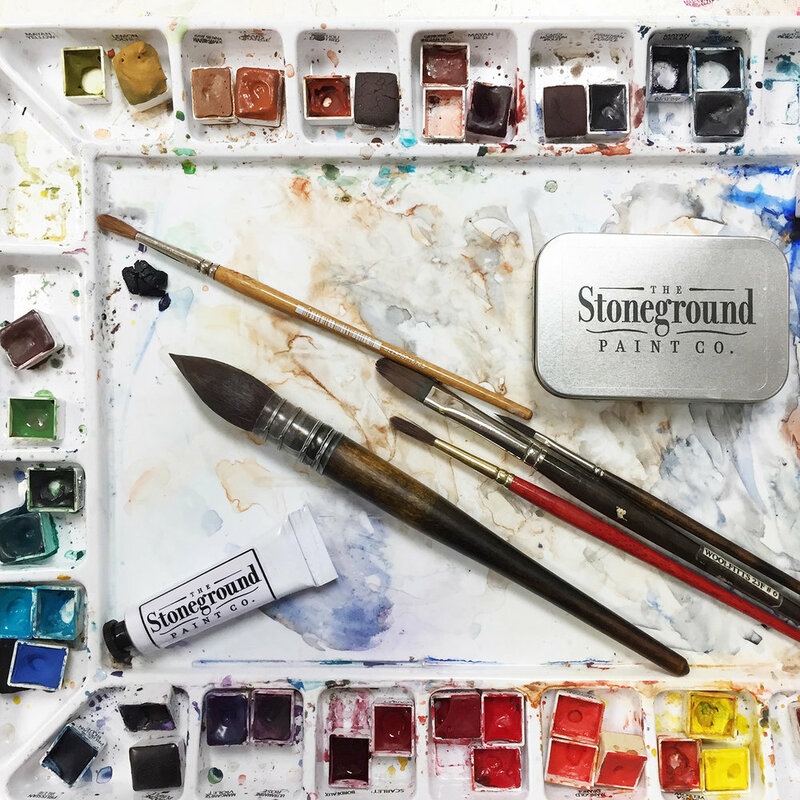 Stoneground's watercolour paints are ground by hand, and are made in small batches. We do not use any fillers in our paint in order to keep it as pure as possible. Stoneground also produces customized orders for our clients. Contact us - we would be happy to work with you! One of the many advantages to our paints is they are single pigments. Brilliant colours can be achieved with our single pigment paints. Locally sourced organic honey is used as part of our binder recipe. The advantage of the honey is that it creates a beautiful smooth consistency to our paint. We use the worlds best pure gum arabic to create our amazing, vibrant paint.